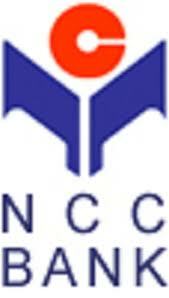 National Credit and Commerce Bank Limited (NCC Bank) is a well-established Bank in Bangladesh. It is developing and expanding its branches in the country with innovative products and banking services, to gain greater acceptance as an effective and efficient means of intermediation and to contribute to the overall wealth creation. This report is prepared as a requirement of the internship phase of BBA program of Stamford University Bangladesh. This report focuses three months working experiences in National Credit and Commerce Bank Limited, Islampur Branch. This report will give a clear idea about the activities and operational strategies of National Credit and Commerce Bank Limited. The whole working process of NCCBL is divided into 3 sections-(1) General Banking, (2) Credit Section, (3) Foreign Exchange. Here first chapters basically discuss about the origin of the report, objectives and methodologies used in preparation of the report and limitation faced at preparation. The main objective is to identify the various activities provided to customers by National Credit and Commerce bank Ltd. and descriptive analysis about their operation. Next I have tried to concentrate on banking function (general banking, loan and advances and foreign exchange business) and marketing part on the basis of some specific topics. Finally I have tried to concentrate on my Internship duties how they work to satisfy customers. The objective of the internship program was to familiarize the student with the practical implementation of the knowledge provides the theoretical aspects of the practical life. It is a pleasure for me to submit the internship report titled “A Brief on how they work to satisfy customers: Legal Constrain and customer Desire Compared- A NCC Bank View”. While preparing this report; I have tried to gather as much information as possible. Bank is the financial institution that deals with money. Banks do many things that are not included in the functions of offering deposit and loan services. They provide trust services, arrange mergers and acquisition, and guarantee payment from one party to another through letter of credit and other devices. Mainly bank is a commercial organization and commercial banks are profit-making institution that collects deposits from the surplus unit of the society. The commercial banks act as the financial intermediary. As banks are profit earning concern; they collect deposit at the lowest possible cost and provide loans and advances at higher cost. The functions of commercial banks have changed as the need of the economy has changed. Now a day there are various kinds of financial services are being performed and practiced in modern economy and many of them are very much helpful and up to date to boost up the economy of today’s world. And we know one thing that changed the financial activities today marvelously that is technology. Technology has given commercial sectors a lot of opportunities to move forward rapidly and smoothly and to satisfy the people by providing their real time functionalities. As a result there is opened a new era of banking which is called ‘on-line banking’ are very much popular today which eventually made possible to building up today’s ‘e-commerce’. So we should introduce such technology into where the economy is weak to survive. Rationale of the StudyThe word “bank” refers to the financial institution that deals with money transaction. Commercial banks are the primary contributors of the economy of this country. On one hand they are borrowing money from the locals and on the other hand lending the same to the locals as loans and advances. So the people and the government are very much dependent on banks. Moreover, banks are profit earning concerns, as they collect deposits at the lowest possible cost and provide loans and advances at higher rate. This report basically deals with the Customer satisfaction of National Credit and Commerce Bank Limited (NCCBL), and also covering the areas like General Banking, Loan and Advance, Foreign Exchange, Remittance, Financial Performance, Online Banking, etc. Scope of the reportThis internship program gives me a great scope or opportunity for gather experience and knowledge in several areas of banking by which I can evaluate or expose myself. During first few week of my internship period, I was able to communicate most of the employees of the bank. During the first month I was able to accustom and adapted myself with the working environment of NCC Bank Limited. While preparing this report, I had a great opportunity to have an in depth knowledge of all the banking activities practices by the “NCC Bank Ltd”. It also helps me to acquire perspective of a leading private banking in Bangladesh. Limitations of the studyAlthough I have enjoyed full co-operation from employees of NCCBL and they also gave me much time to prepare this report properly in the way of my study, I have faced some difficulties, which can be termed as limitations. 1. It should be certainly mentioned that time constraint is the first limitation of the study. Only three months is not sufficient for gathering perfect knowledge on the vast area of bank. 2. In some cases, they could not be able to supply my topic related data for preparing a more in depth research study. Office secrecy was one of the most important problems. Disclosing of some information was restricted. Methodology The information incorporated in this report has been gathered from primary and secondary sources. Apart from this, a review of related circular and office circular as well as face-to face interview of the executives, officials and clients were carried out. Face-to-face conversation with the respective officers and staff of the Branch. Informal conversation with the clients. Practical work exposures from the different desks of the department of the branch. Relevant file and documents study as provided by the concerned officers. Unpublished data received from the branch. Different paper of the bank. Various books, periodical seminar papers, training papers, manuals, Web site, etc. related to the topic. The banking system plays a critical role in underpinning economic development. Against the background of Financial Sector Reform Policies in Bangladesh, National Credit and Commerce Bank Ltd. has resulted in great success in all areas of operation with a view to improve the socio-economic development of the country. National Credit and Commerce Bank Limited emerged as bank in the country on 17th May1993 out of a great turbulent situation encountered by erstwhile National Credit Limited. However, the institution survived the ordeals and came out as full-fledged commercial bank. The company raised its authorized capitals to tk.750 million as per guidelines set out by the Bangladesh Bank. The paid up capital was fixed at tk.390 million of which 50% the sponsor and the balance 50% of public have paid up i.e. tk.195 million in cash. The sponsors of the new bank consisted of 26 (Twenty six) Members, who comprised the first Board of Directors. Business OperationNational Credit and Commerce Bank Limited emerged as Bank in the country on 17th May 1993 out of a great turbulent situation encountered by erstwhile national credit limited. However, the institution survived the ordeals and came out as full- fledged commercial bank. The company-raised its authorized capital to Tk. 750 million as per guidelines set out by the Bangladesh Bank. The paid up capital was fixed at Tk. 390 million of which 50% the sponsor and the balance 520% for public have paid up i.e. Tk. 195 million in cash. VisionTo be in the forefront of national development by providing all the customers inspirational strength, dependable support and the most comprehensive range of business solutions, through our team of professionals who work passionately to be outstanding in everything we do. To establish a good and cordial relationship between the bank and the customers. To invest in various profitable sector to assist the boosting up the industrial sectors. To extend its hands to uplift the economic condition of the country. To rise the living standard of the people providing various schemes. To develop the human resources it acts consciously. To ensure safety of the customer’s assets and deposit. To advise on financial matter to the new entrepreneur. To invest its capital in the potential sector. Human Resource Division (HRD)The necessary of having an efficient Human Resource Division is one of the unique requirements for the success of any business organization. National Credit and Commerce bank Limited unlike other commercial banks has a proficient Human Resource Division that deals with recruitment and manpower planning, performance evaluation, disciplinary actions, promotion, cadre charge, employee service rules and benefits, training and development. Branch Map of NCC Bank Ltd.
Total Asset of NCCBLDivision of NCCBLCurrently there are eight divisions and two cells in the band. Each division is charged with specific tasks and the cells provide necessary support in performing the tasks. [A].International Division: Transactions related to import-export financing involving foreign currency. [b].Credit Division: Appraisal of loan proposal within the country and recovery of loans.[c]. Establish division: All establishment related responsibilities. [d].Board Division: Performing all accounting functions. [e].Central accounts Division: Performing all accounting functions. [f]. Human Resources and Administrations division: All administrative and human resource related works. [g]. Marketing and Branch Division: Marketing of products and supervision of branches. [h]. Audit and Inspection Division: Internal audit and inspections for internal control. Recovery cell helps credit division in recovery of overdue loans and computer cell maintains all information necessary for managements. Customer-employee relationship is a salient issue for service organization. Gremler and Gwinner (2000) view customer employee rapport as a customer’s perception of having an enjoyable interaction through personal connection with a service provider or his employees. Research suggests that customers distinguish between encounter satisfaction and overall satisfaction. Encounter satisfaction will result from the evaluation of the events and behaviors that occur during a single, discrete interaction; overall satisfaction, on the other hand, is viewed as satisfaction with multiple experiences or encounters with the firm (Bitner and Hubbert, 1994). Conway and Swift (2000) maintain that both parties must have positive experiences in order to reach the required overall level of satisfaction over a period of time and develop the relationship further. According to Ennew and Binks (1999), close personal contacts and the sharing of personal information will lead to increased overall customer satisfaction. 1. What is your opinion about the banking environment of NCC Bank Ltd.? Graph 3.2.1: Environment of NCC Bank LimitedInterpretation: From the above data analysis we can see, most of the clients agreed that the banking environment of NCC Bank is good. Some people commented it is very good and a few said it fair. Overall we can say that, the bank maintains standardized service in this aspect. Interpretation: From the analysis we can see that customers are getting more facilities comparing to the banks. At all same time, a large number of clients expressed that in some specific cases such as interest rate etc., they are getting more facilities, but not all sectors of banking service. 5. Do you think NCC Bank is using modern banking equipment? 6. “Where Credit and Commerce Integrates”- The slogan of NCC Bank Limited. Do you think they are maintaining their service quality according to their slogan? Graph 3.2.6: Maintaining SloganInterpretation: From the above analysis we can see, most of the time they are maintaining the quality and they are trying to expand their service in the whole country as well as all over the world. Interpretation: Our data analysis shows that, customers are satisfied with the cash service; they should modernize their equipment for banking services. Very few customers are dissatisfied with their technical support. Interpretation: From the above data analysis we can see that, most of clients agreed that the service of cash section is good. Some people want that the bank should take initiative to start many other facilities with its present operations. Interpretation: Our data analysis shows that, the feedback of the client uncouthly indicates that the customers are satisfied with the remittance service of the bank but regarding the bank should be careful regarding making remittance policy to cope with the changing economic condition worldwide. 12. Modern technological changes should be added to improve the service like ATM machines, Credit Card, Master Card, Visa Card etc. Do you agree? 13. Do the branches of the bank is situated in convenient places of the clients? 14. They should open more branches in DhakaCity as well as the other cities of the countries. Do you agree? 15. How do you comment of the overall performance of NCC Bank Limited? Interpretation: From the above data analysis shows that, most of the people said that the overall performance of NCC Bank Ltd. are Satisfactory, they are satisfied NCC bank services. Some people are dissatisfied NCC bank services. Legal Constrains of NCC Bank Ltd. In case of Loan, if any person or party want to take the loan, suppose loan amount is tk. 50 Lac but those Person or party shows his security against the loan like tk. 10 Lac (including his land, jewelry and others), but bank will not provide loan to this party, because security is not sufficient against this loan. Bank wants to recover 50% of total amount of loan. If loan is tk.10 Lac bank will want tk.20 Lac as a security. In case of opening the Letter of Credit L/C, if any person or party want to open the L/C on the purpose of export and import business, but those parties can’t shows proper legal document of L/C, in this case bank will not open the L/C without proper document of L/C. In case of opening Organizational Account, if any person wants to open an account in name of his business or organization, but if he can’t show or collect trade license and TIN certificate of his business, in this case bank will not open his organizational account. In case of Heroin or this type of Business, if any person do the heroin or this type of business and wants to open an account, bank will not open his account because this business is not legal. In case of cash payment to the customers, if any customer wants to pass his or her cheque after 5pm, in this case bank will not pass his/her cheque. In case of cash receive from the customers, if any customer wants to pay their money to the bank after 6pm, in this case bank will not receive money from the customer. The bank has joined the shared ATM network Bangladesh with a pool of 7 banks. The client of any member bank will have access to any ATM situated at different location of Dhaka city. This banks client will get 24 hours cash withdrawal and utility bills payment facility. 16 ATMs will be installed gradually in Dhaka city and the network will be extended to other cities if the country in the near future. To provide best possible customer services to its clients, the bank is going to launch Master Credit card shortly. The bank has become a member of SWIFT and is providing a fast and accurate communication network for financial transactions to their valued clients through uninterrupted connectivity with thousands of user’s institutions in 150 countries around the world. Money Gram is one of the innovative products of the bank. This has been functioning satisfactory and rendering prompt and efficient services to the wage earners. Customer services are one of the most talked about subject now a day. In banking, it is a major rule to earn a comparative edge. Customer service means to meet customer needs in a prompt and efficient way. In service-oriented organization like, quality means customer satisfaction, and customer satisfaction depends on the services provided by the organization. So, customer service section is the most important section in NCC Bank Limited. First of all customer want to collect information before taking services if he/ she satisfied with the information given by the customer-service section, then he/she come to take services. In the sense, it is very sensitive section in NCCBL. To satisfy the customer by giving better services all staff and officers of this section have to take responsibility, be cordial, frank and smiling appearance. Dispatch division operates the function of dispatching the intimation letter to the client, IBCA, IBDA, and OBC to the other banks for internal transaction with bank. The officer engaged in the dispatch division maintains two types of register books to entries for record of these documents particulars. Deposits are the foundation on which banks thrive and grow. They are a unique item in a bank’s balance sheet that distinguishes it from other types of business firms. Deposits provide most of the raw material for bank loans and, thus, represent the ultimate source of bank profits and growth. Deposits generate legal reserves, and it is out of the excess legal reserves a bank holds that new loans are created. Important indicators of management effectiveness in any bank are whether or not deposited funds have been raised at the lowest possible cost and whether enough deposits are available to fund those loans the bank wishes to make. 1.Fixed Deposit(59.87%), 2.Current Deposit(5.33%), 3.Short Term Deposit(4.88%), 4.Savings Deposit(11.38%), 5.Special Savings Scheme(7.13%), 6.Special Fixed Deposit Scheme(1.30%), 7.Bearer Certificate of Deposit(0.07%), 8.Sundry Deposit(5.87%), 9.Premium Term Deposite(0.81%), 10.Instant Earning Term Deposit(0.02%), 11.Money Double Programe(3.34%). Both these accounts can be opened jointly or individually. Again current account can be for personal, partnership and proprietorship. Any individual person, local bodies, club, society, association house wife, student, non-profitable organization, etc. can open a saving bank deposit account with NCCBL. Savings bank deposit is both time and demand deposit, of which 10% is demand and 90% is time deposit and the account holder can withdraw his/her deposits twice in a week up to a certain limit. Fill up Know Your Customer (KYC) form. 1) Any matured but not unsound mind can open a savings account. without any cost if he or she interested. 4) SB A/C offers 6% interest charges semi-annually to the depositor’s account. Registration-which the company is registered and certificate relating to this issue, is obtained from the registration office of Joint Stock Company. Two copies attested photograph of those who will operate the account. The guarantor who is already maintaining an account introduces personal. (a) The guarantor attests two copies photograph of who will operate the account. (b) Photocopy of trade license. Banks are maintained a signature card and different types of register to open every types of accounts. An account number is given for each account and the description of the account entered in the computer. According to rules of the bank a letter of thank should be given to the account holder and to the introducer but in practice it is not done. In short term deposit, the deposit should be kept for at least seven days to get interest. The interest offered for STD is less than that of savings deposit. In PBL, various big companies, organization, Government Departments keep money in STD account. Frequent withdrawal is discouraged and requires prior notice. This type of deposit should be kept for a fixed term or period. Prime Bank Limited deals with the following terms deposit. Two types of Account can open under this scheme. A person is allowed to open more than one account for different installments in the same branch or in the same Bank. No withdrawal shall usually allow before five years. If anyone withdraws before five years s/he will get interest at prevailing rate on Savings account along with the principle. No interest will be paid on the deposited amount if the Account is closed before Six months. Installment must be deposited by 10th day of each month. In case of holidays, Deposit can be paid on next working day. If anyone fails to pay installment in time, he/she will have to pay Tk. 10 for each installment with subsequent deposit. Remittance Section of NCC Bank Ltd.
Remittance means transferring of fund through different instruments other than cheque. The following two types of Remittance are performed by NCCBL. This is an instrument through which customers money is remitted to another person /firm /organization in outstation from a branch of one bank to another outstation branch of the same bank or to a branch of another bank (with prior arrangement between that bank with the issuing bank). Obtain demand draft application form duly filled in and signed by the purchaser /applicant. Receive the amount in case/ transfer with prescribed commission and postage amount. Enter in the D.D. register. Examine generally of the D.D. viz. Amount, verify signature, test, series, etc. Enter in the DD payable register. Verify with the ICBA /test etc. Issued by one branch to other branch and message is tale- communicated. Remittance / transfer of money are done through tested tale-messages. Remittance is affected on the basis of tested message. Obtain TT application form duly filled in and signed by the purchaser/ applicant with full account particulars of the beneficiary. Receive the amount in cash/ transfer with prescribed commission, postage, telephone/telex etc. Prepare TT message inserting code number. Enter in TT issue register. Issue advice to the payee branch. Note the TT message and verify the test number and confirm if TT serial no. Etc. is OK. If ok, enter into TT payable register. Pass necessary voucher for payment. Application for payment with in the clearing house area of the issuing branch. NCC Bank is the member of Money Gram and SWIFT networks. Using the services of this global network, non-resident Bangladesh nationals can send money from abroad to their home country within a few minutes without any risk. Money Gram is represented in over 115 countries and is available at more than 25,000 locations worldwide. In the USA alone Money Gram is available at more than 15,000 locations. No. Which has to be passed to the receiver? NCC Bank makes an enquiry on the Money Gram computer network to obtain authorization to pay recipient and recipient receives the fund. Money Gram is one of the fastest ways to transfer money. Customers using Money Gram can send or receive money usually within 10 minutes from any world. To get the money the recipient need not to have a bank account with NCC Bank Ltd. NCCBL does not levy extra charge. It gives better exchange rate to the recipient. In March 2002, the bank has entered a Taka drawing arrangement with Placid Express, for home remittances of Bangladeshi expatriates in the United States. The X press Money Services would like to welcome NCCBL to their network. X press Money (XM) is a web-based person-to-person money transfer system that allows an individual to send/receive money through any of our network agents instantly. All transactions are done through secure servers using 128-bit encryption technology so as to provide maximum security. Al Fardan Exchange, the pioneer in money exchange and worldwide remittance services in the U.A.E., established in 1971, is a trusted name for millions of residents and expatriates. A modern exchange house with advanced infrastructure and Courteous staff has an extensive network of correspondent banks all over the world to facilitate faster, completely reliable transactions. who will receive the amount and any reference number which work as security for Bank as well as beneficiary. Head office gives information through fax to it respective branch from where receiver will receive money. Dhaka Janata is introduces to provide remittance facilities to emigrant and other people of Bangladeshi who work as contractual basis in the Italy. Here Dhaka Janata also maintain same procedure of getting information from system server including the name, reference number, amount, Phone number etc. Here head office sends information through fax to all respective branches. All receivers when come to bank, respective branch check his information with information received from head office. Generally speaking, clearing means settlement but from Banker’s point of view it refers to the procedure of receipts & payments of proceeds of cheques and other instruments through banks. Clearing House is a place where the representatives of all member banks meet together and settle mutual obligations of banks arising out of cheques& other instruments drawn on one bank and deposited with another bank for collection, under a special arrangement. The characteristic of the clearing house is that at the time of coming to this place the representative of very bank brings with him all cheques etc. drawn on other banks along with schedules and delivers the cheques to the clearing house and receives cheques etc. drawn on his bank and on the basis of cheques etc. delivered & received the mutual obligations between banks is ascertained and settled through their respective bank accounts maintained with the Central Bank or any other bank which conducts the clearing house. There are two types of Clearing, such as (a) Internal or Inter-branch Clearing and (b) Inter-Bank Clearing. Under the 1st type all branches of the same bank situated in a particular city settle their mutual obligations through the main branch of the bank. In some banks the term “Transfer Delivery” is used to mean internal clearing. In the other case, in one city the obligations between all banks are settled. In this case Bangladesh Bank or Sonali Bank performs the function of the Clearing House in Bangladesh. collection through the clearing arrangement is considered as outward clearing for that particular branch. Receipt of instrument with paying in slip. Checking of instrument & paying in slip. Singing of counterfoil and returning it with seal to the depositor. Separation of instrument from paying in slip. Sorting of instrument bank wise and branch wise. Preparation of schedule- branch wise. Preparation of clearing House sheet. Tallying of totals of paying in slips with the totals of Clearing House sheet. Sending of instruments to main branch with schedule. Collection of credit advice from Main Branch. Inward clearing: The bank provides the instruments to other banks through clearing house which have been collected from different clients. It performs this kind of service for its clients without requiring any charge or the remittance. Preparation of Vouchers and sending of credit advice to main branch. Making of entry in clearing return Register. Sending of instruments to main branch before second clearing. Receipt of instrument with return memo. Preparation of Party debit Voucher. Making of entry in cheque return Register. Sending of instrument with return memo and party debit advice to party by post or through peon. The paying in slip does not bear the name of another branch or the customer has not mentioned the name of another branch. The title and number of account have been mentioned on the paying in slip and the counterfoil. The amount in words and figures are the same. The particulars and amount on the pay-in slip and the counterfoil are same. The Cashier should receive money, count it and mention the denomination of notes on the back of the paying in slip and see that the total tallies with the amount of the paying in slip. He should count the notes again and verify the amount from that mentioned on the paying in slip. He should enter the particulars as to the name of the party, account number and amount in the Receipt Register. He should sign on both the parts of the paying in slip i.e. voucher and the counterfoil. He should then hand over the paying in slip and the Receipt Register to the authorized person, Officer in Charge/Head Cashier. For the amount received on account of commission, Telegram and postal charges where no separate voucher is passed he should maintain record in a separate book or enter the same in Receipt Register immediately. He should prepare relevant vouchers and hand over the same to the authorized person for affixing the “CASH RECEIVED” stamp and obtain counter signature from the officer. After the close of business hours, he should balance the cash receipts from the register, and should keep the cash ready for checking by the authorized person. Payment Cashier should see that the cheque is in order i.e. the amount in words and figures is same. The cheque is neither postdated nor state. He should then request the presenter of the cheque to sign on the back of the cheque. The paying cashier sees that the signature of the ledger keeper and in case of big amount cheques, the signature of the officer and the Manager are there on the cheque as a token of having posted and supervised the cheque. If the cheque is payable to the order of payee, the payee or the endorsee (if endorsed) has been properly identified. Then he should take out cash and call out the name of the party and ask him about the amount of the cheque and his token number. If the amount stated by the party differs from the amount of the cheque, he should tally the token number, if the token number is the same and the amount differs, he should report the matter to the Officer in charge/ Manager. He should obtain another signature of the party on the back of the cheque. He should now see that the second signature tallies with the first one already on it. In case the signatures do not tally, he should not make the payment and report to the Officer in charge. Before making the payment he should obtain the token from the party and see that the amount and token number are the same. He should, once again, ask the party about the amount of his cheque and count the cash for the second time before making payment. When satisfied in all respects he should make payment. He should affix the “CASH PAID” stamp bearing the date of payment. He should put his full signature under the cash paid stamp. He should enter the particulars of the cash payment in his payment Register. He should keep the cheques so paid in his safe custody till the Officer in charge/Manager checks his payment register. In case of cash payment of Drafts, Pay Orders and Pay Slips, he should see that the payee has been properly identified, and in case of Pay Slips, the beneficiary has signed on proper revenue stamp. In other respects, so far as applicable, the same procedure is to be followed as in payment of cheques. For payment on cash debit voucher he should see that two persons holding “Power of Attorney” have signed the voucher. The Manager has signed on the cash debit voucher giving his assent. The proper Account has been charged. If the amount is TK. 20/= (twenty) and above the recipient has signed on proper revenue stamp. The Cashier should know to differentiate defective, Mutilated, Burnt, Torn etc. notes from good notes. As a matter of rule such notes should not be accepted over the counter as deposits or in exchange of good notes. These notes, under special circumstances, may be accepted only on “collection basis”. These notes should immediately be sent to Bangladesh Bank/ Sonali Bank for receiving payment of exchange value.